it was a ride that was almost never to be. a constellation of work, family commitments, and roadworks up the blue mountains was looking like my long-held plan of a ride to katoomba was going to stay that way; a plan for another time. fortunately, happen it did, and so it was at 8.15 on a friday morning B1/m and YHC found themselves with butterflys in their stomachs and 200km of tarmac in front of them. on good advice from ian, and some google mapping by B1, we headed west for pennant hills, castle hill and bella vista, joining the M7 bike path. we were lucky enough to hop on the back of 3 riders, making good time to the M4 turnoff at eastern creek. the mountains were in full view by this stage. cutting a blue/black line on the horizon, an ever present reminder of the toil to come. silent, omniscient, inviting. and so to the climb. B1 was troubled with a loose headset early on and spotting a bike store in blaxland, got it tightened. on greeting us, the store’s owner said, pointing vaguely to B1’s peugeot beauty, “that’s vintage”. “yes, she is” blushed B1 in reply. i was quick to assure B1 that the owner was remarking purely on the steed and not the rider. we had sailed through easily up to now but the temp started to rise with the climb. up to 38 celsius and with a westerly in our faces, it wasn’t long before we were haloed with salt and our lips dry. it didn’t drop below 30 degrees the whole time we were on the mountain. 3 sisters arrived 2 hours later. photos were taken (attached). a quick snack at cafe 88 in katoomba and the descent was on. a water stop and after being spat out the bottom of lapstone hill onto the M4, a swim would have been just the ticket. looking at the nepean river beneath us, B1 suggested a quick dip. ever the timekeeper, i declined. maybe next year B1. roll on gentlemen, roll on. what felt like crystal cranking going west, now felt like riding through molasses heading east. a change in wind direction meant a gusty headwind, sometimes head-on, sometimes cross, but always against us. cursing at the gusts as they battered us, there was nothing to do but ride. and so we grabbed our handlebars and fell into it. like a daydream, or a fever. km after km of riding upstream, straining for a view of the M7, and north out of the headwind. dry, dirty and sore, we finally rolled onto the M7 bike path, stopping for some HTFU pills in the shade of an overpass. B1’s feet were giving him trouble, and the pills seemed to do the trick. electing to go up pennant hills road we drove for home, flicking onto the pac hwy at hornsby. exhausted, we pointed the front wheels in the direction of home, and like old nags that have travelled the way a thousand times, our trusty steeds wheeled us to the front door. looking back, curiously neither of us felt we had conquered the mountain. but do you ever? someone, somewhere has always done it faster. perhaps the victory is in you conquering you. a vindication your fears were nothing. a battle against the devils on your shoulder, or between you and the road – a battle you did overcome. and it is in that struggle, in that heat, exhaustion and in the camaraderie of your fellow riders, that you discover the difference between riding a bike and being a cyclist. PS: If anyone wants a good read over the holidays, get your hands on Paul Fournel’s “Need for the Bike”. Also in French. It is, quite simply, the best book on cycling I have ever read. Apologies to Godspeed You Black Emperor. This entry was posted in Other Ride Reports on 30 December 2012 by Fore. Thought it best to end the year in a manner to which I intend to commence the next; full of passion, hyperbole and underarm sniffing. As the sun begins to set on 2012 and several Mayans wander aimlessly through the back streets of Lindfield ruminating on whether or not they just picked the wrong Frickin’ day, we look back on the final running of the Rhodes Roubaix – and what a cherry popping affair it was…..
Furtive glances and titters of delight greeted our Yuletide Throng atop KPR this morn; one could feel the atmosphere surging, pulsating – nay throbbing, as the appointed hour (well, half hour, actually) approached, for today was to be the day that Sam (Son of Jan) and Dainty Dora were to sacrifice their preciously preserved maidenheads for their inaugural Rhodes Roubaix. The clock tick over to 6.30 and “Pop” went their combined punnet. A quick smoking ceremony followed by four Our Fathers and off we went. RTG (RTC), Dopey, Chippo, Bullet (Le), Sam (Son of Jan), Graham, Dora, Dragon, Sri Lunchalot, Virgin (Extra – now that he is sporting a smart new Garmin 500) and Herbicide/Herbivore/Herbal Tea/Herbinator. In a nostalgic saunter down memory lane, and due to the fact that the Google Coffee Shop was shut, refreshment was sought from our previous haunt – XXll – AKA Cafe Bullet AKA Madame Lash’s. Sans the lick of the lash, we were greet with the squeeze of the eyes and the purse of the lips of Rent Boy Ricardo, the new maitre d’. “No, no, no! You canno’ put ze table togezzer zat way! We will get a farn!” “A farn?” “Yes – a beeg farn from ze carnsil!” “The carnsil…….oh the council. Righto lads. Indoors.” Little atmosphere, no other patrons, average coffee, no split bills, a waiter who can fit four “S’s” into the word “Banana” – Ricardo really turned it on for us. Dragon proposed a minor deviation en route to The Backdoor, inviting us to ride up the steepest hill in Willoughby. Imagination ran riot as we considered the “Col de Pimple”, or the “Lanced Boil” but to our surprise and gratification, it presented something of a challenge. “Who’s idea was this!? !” chirped Ravi the Christ (Only for the holiday season), never one to shy away from a chance to get out of the saddle……Only 100 meters, but at 9% makes it a little pearler……. A pleasant pace throughout dispatching RTG (RTC) at Gordon, Dragon keeping company to Gordon before turning left, when the call was to turn right; much enthusiasm for the NYE Fluffer – 80-90km round trip on Monday morning. Of the 11 on the pedal, 5 were there for the ride with the boys as no work beckoned today for them. Says something, doesn’t it. This entry was posted in Commute Reports on 29 December 2012 by Bullet (Le). You never roll alone on the one true path…though the illusion is quite strong, with strava as your friend it keeps you company no matter what..eh Wilson..they’ll come soon and then we’ll see who’s on the peloton..
Last Man Friday..in the traps waiting for a non-existant BOF to horn start the last OTP of the year..but even that was a no show…they’ll be here soon Wilson just you see if they don’t..
A desert island disk playing accumulated hits of Cardiff, “You’ll never walk alone” as YHC attacked the hills of death, memories of the ER peloton replete with running commentary calls of “Car Back” and “Glass” from Wilson.. Checking the clock on the crest of the Col de Lindfield, and ahead by a couple of minutes, the possibility of a PB or two fled through the brain leaving only an outline of its potential, no point flogging the horses eh Wilson..
A sprint to the crest of the Col de Rawhiti but had to wait for Wilson to catch up..so not really a blip on the Schlek stoush where YHC has nearly blown a lung through the rib cage on that section…perhaps there will be company joining soon eh Wilson..Lunchie for sure..
Alas just more desert ahead, ghosts of ER pelotons past trundling through the Col de Hill St into Boundary…not even a touch on the brakes as silence reigned …tumbrels not rolling as not a breath of wind through Chatswoo’ a lonely place on the second best way to start the day. Tinadale had to regroup, Wilson finding a crook light on the Mowbray turn..then a spirited descent and spin through the Artarmon SUP…a solitary ER jockeying for position on the KOM, exploding into a last second dash for line honours..and applause from the Boundary riders already receiving coffee on the pavement tables ..beat Wilson by a mile..so was forced to soft pedal in the winner’s circle ..as one does..only as fast as the slowest rider..
Burlington burn was only a smoulder today as there were landscapers digging the landscape and lollypopping traffic into submission..but from there on my new Green light button seemed to be working well..whistled through the shredder and was onto the bridge before Wilson as I never saw him again..
Coffee..on the end of Kent St..luckily had room for the peloton of one.. Departures discussed and agreed as the usual 5:15 GG bus.. This entry was posted in Commute Reports on 28 December 2012 by BT. Dear Brethren of the Pedal.. I rode today… and I liked it a whole lot. Had a great time, and getting the Strava Kudos from you all, just makes the ride all the more sweeter. Now let me take a moment and say, I rode today, albeit with a starkly different twist than the normal ER model for writing. One thing I’ve learned over time, is that the ER brand is hard to define at the best of times. We ride hard on the commute, yet only as fast as the slowest rider. So if anything we tend to act as a dichotomy of different neo-philosophies… but more on that later. So how did I ride today? Well… I rode slowly. I looked around and smelled the roses while I rode. I made a concerted effort not to go fast. I think my avg speed was under 20 kph… which is how I like it! Never the less, the climbs up the gorges were tough no matter what speed you do, and the weather was very hot. I left the house after 8:00am. A little late for this time of year, but welcome change from the 5:30-6:30am starts that are de-rigour during the week. I love riding my bike in the heat, but am aware it sends my heart-rate very high. I am much more cautious in the heat as you would need to be. I applied the brakes during every descent… and loved it. I saw a goanna in the wild, and I said hello to it. I stopped in the valley at Galston Gorge, and said hello to the turkeys/chickens, that congregate at the Walkers intersection. I saw no walking enthusiasts. Bobbo was getting very hot, so I slowed down even more, and kept a steady pace. I loved it. I twisted my head around at every opportunity to see what was going on in the bushland. This beats focusing straight ahead… as I was looking at the majestic views as I pedaled my way through my thoughts. My thoughts ran free… mostly thinking about writing this email… an example of a random thought receiving expression in an action post ride. I rode by myself… which I love. I was alone in my thoughts. Had no worry about going too slow/fast with another rider. I rode and searched for that quiet place inside myself… I found it only 15 minutes into the ride… and lost it again, 2 hours later when I got home. For you, my brothers and sisters of the pedal… you might also have ridden your bike today, however you did not ride like me. Have a great break… and will see you again mid jan. This entry was posted in Other Ride Reports on 24 December 2012 by Bucky. I was brought up in an outer suburb of London. The nearest swimming pools were an hour away and there were big distances between friends. Therefore, cycling was an essential way of getting around. There was some racing at Crystal Palace and Brands Hatch. We had wonderful road riding close by as we were on the edge of beautiful Kentish rolling hills. But when motorised transport became an option the bikes were dropped immediately. I didn’t get back into cycling until we lived in Hong Kong, see below. When I came to Sydney I worked for the ASX and began riding into work on a route very similar to the one we use today. I had a city car park so I only used to do it one way and it was a big deal to ride there and back in a day. I enjoy riding in different places as it helps you explore the area much quicker. Our best holidays are when we tour on bikes. 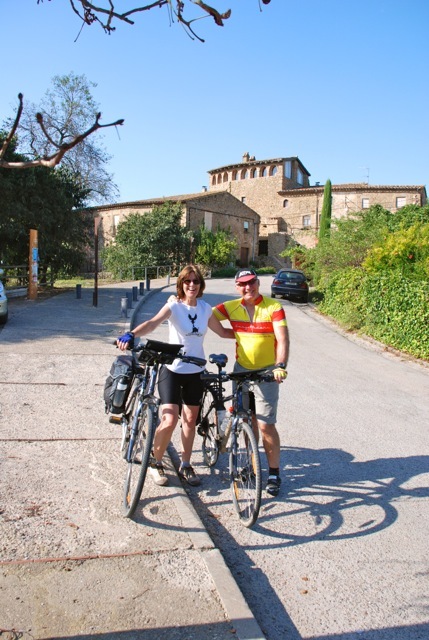 The other year we did Girona one hour north of Barcelona which was sensational. El Conejo in the Spanish hotel where Lance and his mates trained and took performance enhancing stuff. I wonder if the hotel owner has rearrange the display cabinet? I had just returned from working in Santiago Chile. I started going down my old route into the city and HB told me about this group who meet at Gordon three mornings a week at 6:45, it seemed like my style of riding. Then there was this bloke Drastic who was riding in and back every day…. I thought he was crazy, I still have not done 5 days in a row but live in hope. My first bike was given to me when I was about 7, it was a girls bike. I think my parents didn’t have much money in those days and they bought me a second hand one. When I found it in the house on my birthday I couldn’t believe it was mine I was overwhelmed and excited. Secretly I wished I could pull the sloping tube into the horizontal position. I did a lot of trail riding but the front forks broke when I took a bump too quickly. My next one was a new Gamages thing with rod breaks, no gears of course. In my teens the bikes evolved until I had a double clanger and five gears on the back (Campagnolo of course). The wheels were tubeless or tubs as we called them. I could push it along at a fair clip however, and a normal ride was up to Lewisham which had two serious bike shops to spend our money on. In the mid to late 80s my wife and I bought a matching set of these new Mountain bike things, matt black frames with no decals. They were sold as top of the line models with 501 tubing (531 being considered way too weak for the pounding) 24 inch wheels triple bio-pace chain sets, but no suspension and no index gears – thems were the days. We rode these bikes around the New Territories in Hong Kong, it was very genteel cycling however and we took them back to the UK to use when we were there. Now I have the Azzurri carbon thing with Ultegra, which I like although it is getting a bit old (like its owner). 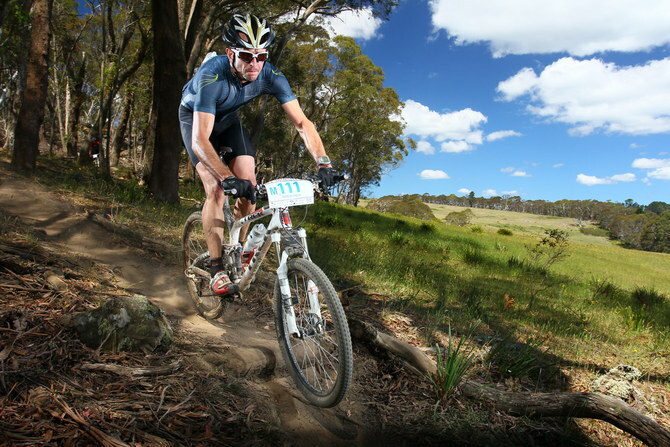 I have a Merida mountain bike which I bought many years ago to do the Tasmanian Trail (see the pic), its not very high spec. but is sort of okay for off roading around Snives. Señora Conejo has a hybrid thing which she likes but doesn’t use much these days. By far and away our most expensive bike is my son’s downhill Giant thingy, four or five grand top spec at the time….Of course he does not use it these days (anyone want to buy and good downhill bike? I enjoyed riding in and around the Andes and foot hills of Santiago in Chile. The ski resorts are close by and a typical summer ride ride is to head up into the mountains. The first village is called Farelleones. There is a 30 k climb to the base of the mountain and then a set of 40 switch backs to get to the top. My objective when in Chile was to get to Farelleones, but I never made it. I reached Curva 20 (actually 2kms short of the top) but the road started going vertical and I was stuffed. My assignment in Chile ended sooner than I would have liked and never got another chance to try it. I would love to go back with a lighter bike, compact chain set and better prepared to knock it off and also do a couple of the other hills in the area. When in Hong Kong I had seen this country park trail across the New Territory hills, it did not allow traffic and looked an ideal cycling track. I lived on the Island in Happy Valley right on the race track. The Jockey Club also has a Country Club on the Hong Kong boarder which was run by a mate of mine and close to the trail’s end. I thought I might find this trail and surprise my mate. After coming down from the elevated road section I eventually found the trail I was looking for, it went up to a reservoir and through the hills. Whilst the city traffic had been one issue, hacking along through a country park in the dead of night on ones lonesome was another matter. Weird sounds and no one about and no one actually knew where I was. Although the trail was sealed I performed an unintentional dismount when hurtling down a steep slope, fortunately I only sustained minor scratches. The trail came out close to the Shek Kong RAF base and I found an open café although it was now two in the morning. Refreshed with a couple of beers and injuries cleaned I made my way through the back of Fanling Golf Course and into the Country Club. It was now three in the morning and I did not have the heart to wake my mate so went to sleep by the swimming pool. Señora Conejo was not impressed with my little adventure and I needed to stay in the naughty corner for some weeks after that. Later on, when the elevated highway had opened I would drive along it and it always brought on a smile remembering the night ride. Come and say g’day you will usually find me there. Cycling is funny in that the fitness seems to come relatively quickly so you will no doubt be pushing out up front very quickly. I think I have said enough already, but another Hong Kong story is that I built a 31 foot trimaran on the 16th floor roof of our apartment block. That’s another interesting tale, but perhaps for another day. This entry was posted in Rider of the Week on 16 December 2012 by Drastique. And then we stay in bed. Our hairs are short, but our routes along. Except for the bloke called Winkie. Like to wear tight clothes. To the second best way to start the day. The Hard Men of the North! This entry was posted in Best Of, ER Poetry on 10 December 2012 by Bullet (Le). A Song with No Name………about Cycling. Another homage by Le Bullet sung to the tune of “A Horse with No Name” by America. There were G O T F R’s. And the riding will be easy. la la la la lalala la la la la la. Every morning, it does in my head. And it never ever sounds the same. This week we have our KOM Champion and winner of the concrete bidon Leonardo – named after the Ninja Turtle I think. Born in Johannesburg and raised in Durban, South Africa. Left, wet behind the ears, for France in 1999 to race the pro triathlon circuit after winning the All African champs and stayed for 7years – racing, coaching and studying. Met my Aussie wife on the ski slopes and moved over to the UK where we stayed for some 3years before moving to Sydney almost 4years ago now. Moving to Johannesburg to work when I left school, I joined a local running club to meet people. One of the members did triathlon and got me out riding and doing triathlon. The rest is history. Commuting into the city, I often saw the egg and tomato and one day enquired about this strange gathering of mamils and what I had to do to join the clan. Satnav duly informed me about the $100 he required to make it happen and I was in! I own a Cervelo P3 with Zipp 808 front and disc rear (a true time machine), a new Focus Izalco team 2.0 (Di2 and all), a Trek 9.9 SSL top fuel full suspension MTB (kiddies 26″ wheeler though) and my trusty commuter (an old Bianchi MTB that I have had now for over 12years). Of the places I have been it would have to be the French Alps (during summer preferably), but of all places, I think the ultimate for me would be to go on a bike safari through Africa (Ewan McGregor’s Long Way Down style). Not gonna bore you with a recount of some epic ride or some satisfying race victory so how about a story about my father walking through a South African national park and how a lone elephant bull charged the group he was in. How the ranger shouted orders calmly at first before screaming “run!” and how said walking group scattered in all directions and how the elephant, of course, chose to continue the chase with my father, then 65years of age. Fortunately he arrived at a dry river bed with steep banks and managed to scramble down with the bull thundering up behind but it was unable to follow down the steep slope. After re-grouping the walk was later charged by a buffalo and a rhino but I will leave that for another time. That is how we train in Africa. Cycling accommodates all levels. The main thing is to enjoy the ride! But if you are looking to improve, consistency is key. I have met Nelson Mandela twice and I don’t like Vegemite. This entry was posted in Rider of the Week on 9 December 2012 by Drastique. A 45 year Pome import of some 13 years standing down under, married to Toranz (Mrs Schleck) and Dad to Rish (Master Schleck) and soon to be Dad to Peanut. An academically challenged but lucky bugger who started working life as a taxman for Her Majesty’s Inspector of Taxes as it seemed like a good way to get into the foreign office and land a cushy gig working in an embassy somewhere exotic. You cam imagine my horror when not only did I find out that this was not going to happen but they expected me to study as well. Eventually made my way into a career recruiting tax people for others and found my niche. Now doing my best impression of an upstanding member of the north shore, living in St Ives, and working for Deloitte. 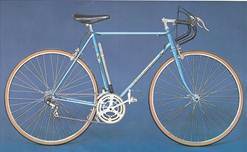 As a kid I cycled everywhere, my blue Grifter is still the most exciting Xmas present I ever received, and I stayed on that until I eventually was lucky enough to graduate to a Peugeot road bike when I was 13. This was used to transport me to and from school, weekend sports, around to the houses of my mates and eventually to those of girlfriends too. It started out electric blue and was later resprayed white before losing its drops to be upgraded with a set of ‘Cow Horns’. Go figure but at the time I thought it looked really cool… Unfortunately once I learned to drive the Peugeot was relegated to the shed until it was rescued by my late grandfather, Bill, who did the decent thing and converted it back into a proper road bike and used it to commute around Taunton for some 20 years until he was about 90. Roll the clock forward 25 odd years and I was moving back from semi-retirement to gainful employment (at Deloitte, 5 years ago). Concerned at the likely consequences of losing my considerable opportunity for exercise I decided that the 2.5kms commute from Taylor Square to the city would be just the ticket to get the heart started and take away some of the pain of turning up to work every day. And I loved it! Affairs of the heart required a move to St Ives to live with the beautiful Mrs Schleck (like I said, I am lucky) and with a big gulp (and the purchase of Luigi) I decided I could ride from St Ives to the City, well maybe drive to Gordon and then ride to the city, maybe once a week and then head home on the train. On the 22nd July 2009 I was riding over the bridge and recognised the ER jersey from a photo I had seen in the Bicycling NSW magazine, as the bunch swept passed. Just before the sweeper disappeared ahead, Satnav of course, I breathlessly enquired if they were those Easy Rider commuter blokes. Back in the day the ERs only had time for coffee once a month so regrouped at the SSHB meeting point and having got my breath back email addresses were swapped and I was invited to join them for the ride home that evening on the 6pm from SSHB, only as fast as the slowest rider etc. With a lot of support and encouragement I made it back to Gordon – Thank you Tef and Larri! Decided to give the morning bus a go the next day, which to be honest was not so slick. RTG and I both turned up as virgins to join the bunch, Ravi (RTG) slipped on grate broke many bones (hence Ravi the Grate) and changed the course of the OTP, and as a consequence of this drama the group split and I got stranded someone near Crows nest. Having only recently moved north and only ever ridden to the city on the highway I had no idea where I was and didn’t arrive at the office until mid-morning. Convinced the missus that they really did seem like a nice crowd, gave the morning bus another chance and that was that. If you hadn’t guessed already I am into the aesthetic as much as the bikes as much as the riding. My first born, Luigi. A custom sized Columbus Spirit steel framed bike built for me by Europa Cycles in Kingsford. Luigi started life as a flat bar Surrey Hills cruiser, then converted to a classy drop bar north shore commuter and now fresh from an extreme makeover vying to be one of the most striking steelies in Sydney. The groupset is Campagnolo; the wheels Ambrosio Excel light rims with vintage Record hubs (built by TSS), the seat post and stem from Nitto, the bars & from Cinelli and the saddle a Brooks. We don’t talk about the pedals, but they are very practical. Although striking Luigi is no show pony, he serves as the commuter of choice with 3 years of rain and shine on the OTP under his belt and was the prime training bike for 3 Peaks earlier this year. Luigi weighs a tonne. And yes Bucky the colour code remains a secret. Next came Sparky, a Scott Spark 20 dual suspension MTB. Awesome machine and was purchased on the plan to do more off road stuff now that I live next to a national park and maybe an endurance event or two . Only rarely used, Sparky has seen duties as the ‘St Ives House of Pain’ school of commuting bike of choice but is lucky to see the dirt once a year. Maybe next year? I feel amazingly lucky with the riding here on the North Shore but at some stage I would love to experience a ‘grand’ tour in Europe taking in some of the legendary climbs, mountain bike in the USA through some proper big country and a do tourist adventure in SE Asia. Hard to choose, joining ER has had a big impact on my interests, fitness, friends and day to day life. One of the more memorable commutes was a ride home on the 6pm bus, the choice of the discerning ER, last year in the pouring rain. The harder the rain fell the more elated the group became as we charged up the fast flowing rivers of North Sydney and down the debris strewn bike paths until we eventually reached Archer Street to be greeted with proper pedal deep water. At this point the whole bus broke out in some very enthusiastic choruses of ‘I’m singing in the rain’ as our feet became even wetter and the bikes almost boats, neither a feat I had thought possible at the time. The conditions were horrendous but there I was riding home with a bunch of mates having an absolute ball. Keep pedalling and have fun. If you want to get fitter, faster or just be more comfortable on the bike then ask for tips and help from the likes of Brownie or Drastique & co, but don’t feel you have too, that’s the beauty of this bunch. And remember, even when it hurts it is better than the train. This entry was posted in Rider of the Week on 3 December 2012 by Drastique.